Menswear, as an industry, is in an interesting position right now. More men than ever are interested in personal style and upping their aesthetic game, but because of the traditional cultural views on men and fashion in the US, so few of them have any idea where to start. Of course, we have a novel (or not so novel, to our loyal readers) idea: Start with a great bag, like the AllSaints Stonewall Laptop Bag and go from there. The best way for a regular dude to elevate his style and still feel like himself is to choose great basics that have a couple of special details. That way, everything can be mixed and matched and he still feels like he’s wearing normal clothes. We teamed up with our friends at AllSaints to create a men’s look around our favorite bag from the retailer; think of it as a guide for male style newbies. Check out our picks after the jump or shop the full men’s selection at AllSaints. 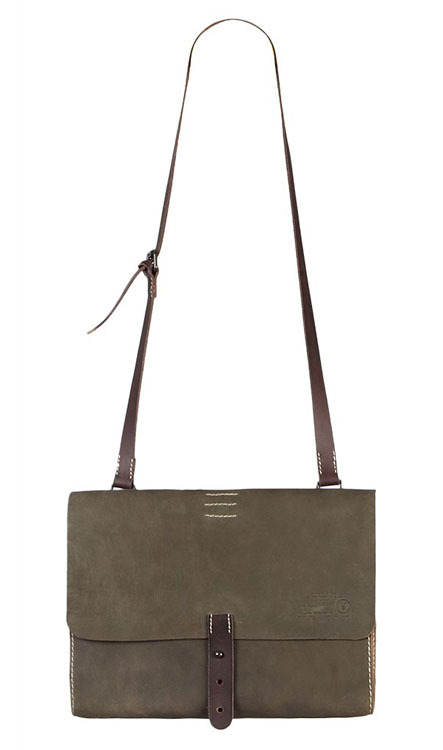 It can be difficult to balance wanting a bag that’s not overly bulky with wanting a bag that doesn’t look like a purse, but the AllSaints Stonewall Laptop Bag does a nice job of straddling the divide. It’ll hold your MacBook Pro, but if you don’t need to haul your computer everyday, it’s still a nice, slim option for a man’s other essentials. $250 via AllSaints. 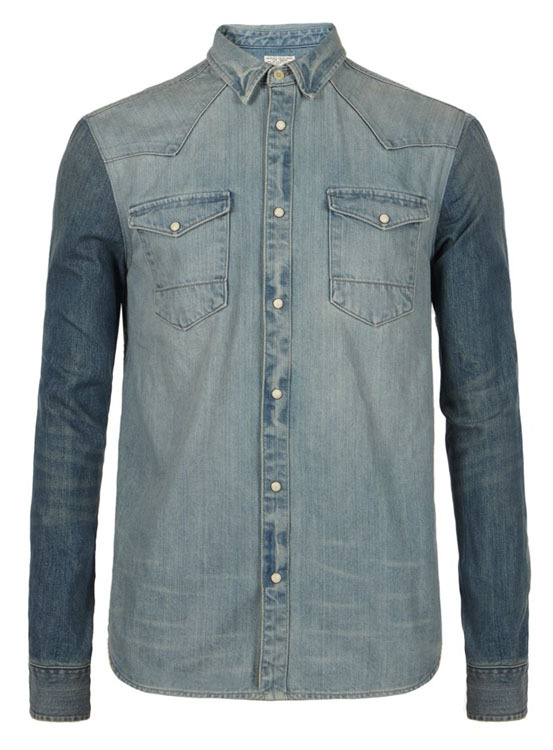 Most dudes are comfortable in a denim or chambray button-down, but the contrasting sleeves of the AllSaints Hamer Shirt add that little extra something to this particular model without making it any less wearable. $135 via AllSaints. Every dude is comfortable in a pair of chinos, but how do you make them stand out? 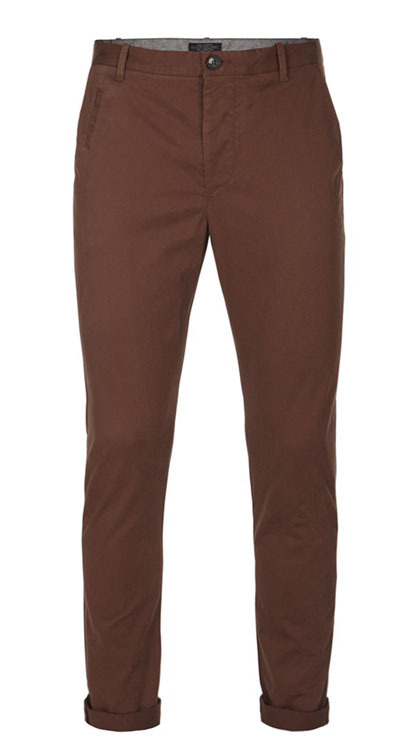 Go for a slimmer cut and an unexpected (but still totally wearable) color like the brick red of the AllSaints Pipe Chino. $95 via AllSaints. 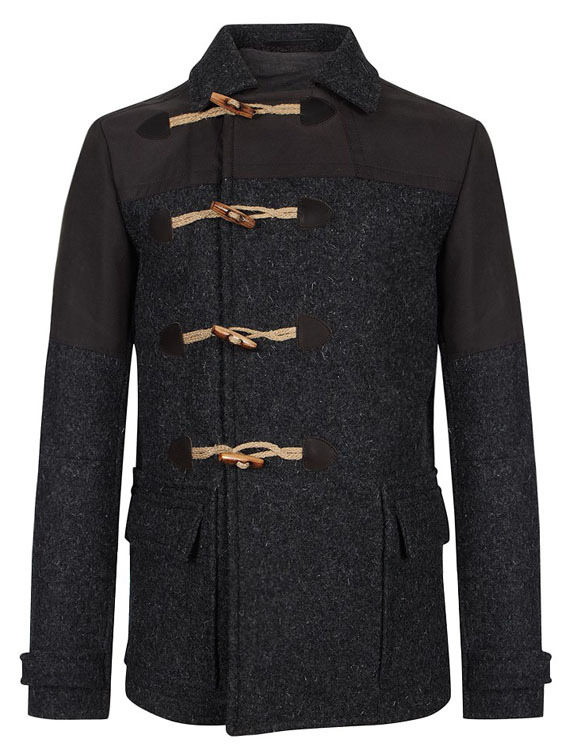 Of course, it’s getting cooler outside, so choosing something to top off the look is important. Black wool coats are beautiful but a bit expected – go with charcoal instead of black and toggles instead of buttons for something a bit more unique, like the AllSaints Canyon Duffle Coat. $395 via AllSaints. 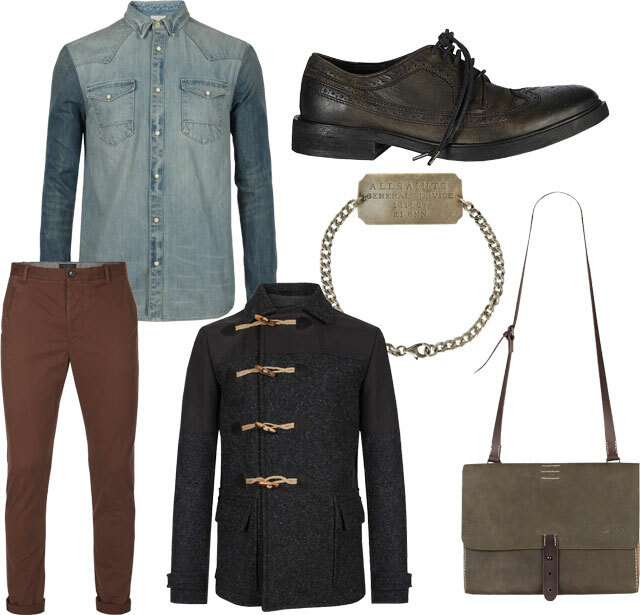 Of course, every outfit needs a good shoe, and the AllSaints Buckley Brogue will go with almost any fall ensemble. Is it faded black? Is it dark brown? Is it olive? It’s hard to say, but that just means it’ll blend with almost anything you pair it with. How’s that for versatility? $225 via AllSaints. Listen to me very carefully: Approach man-jewelry with caution. LESS IS ALWAYS MORE. When done correctly, though, it can add a nice “finished” quality to a look. 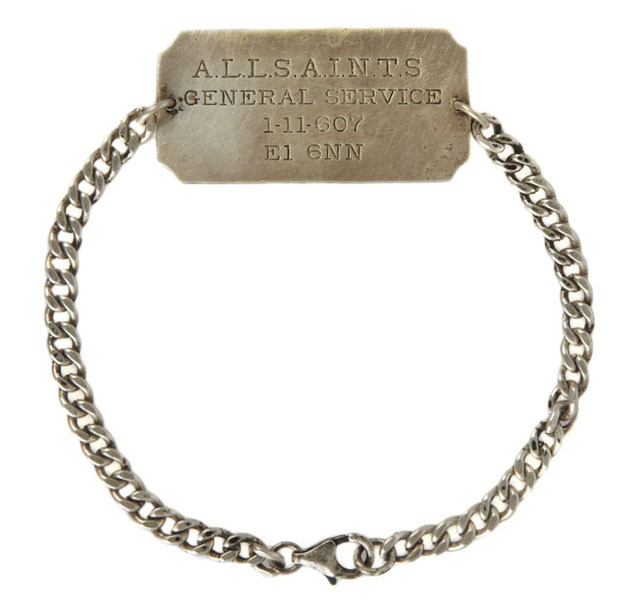 The AllSaints Identity Bracelet is muted and industrial enough to work on even the manliest of men. $120 via AllSaints.